WASHINGTON — President Donald Trump’s former campaign chairman is denying allegations he lied to investigators after he began cooperating with them. 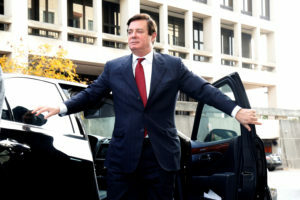 Lawyers for Paul Manafort submitted a 10-page filing Wednesday aimed at knocking down claims by special counsel Robert Mueller’s office that he intentionally lied and breached his plea agreement. Among the allegations is that Manafort lied when he denied having shared polling data from the 2016 campaign with a business associate the U.S. says has ties to Russian intelligence.